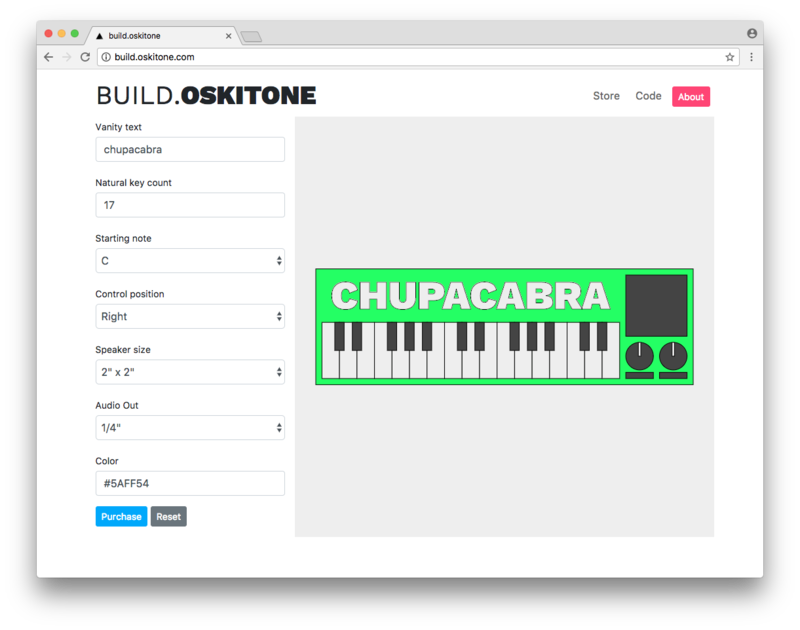 I abandoned a sequencer prototype to focus on Oskitone, then I finished it, and then I wrote about everything that was wrong with it. Cathartic! 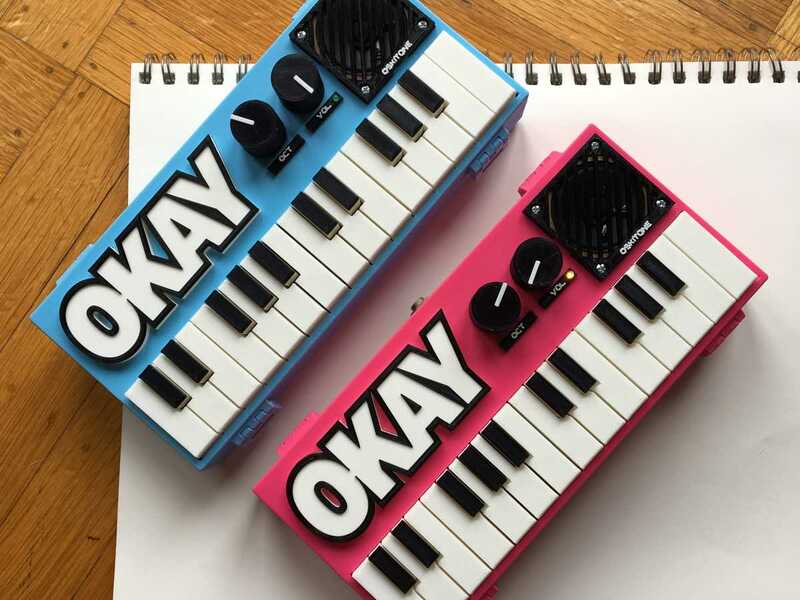 What's better than one octave? Two octaves?! OKAY 2! Here’s how I make the time-lapse videos for my Oskitone projects. It’s certainly not for everybody, but if your phone is the best camera you own and you’re not shy of the command line, maybe it could work for you! 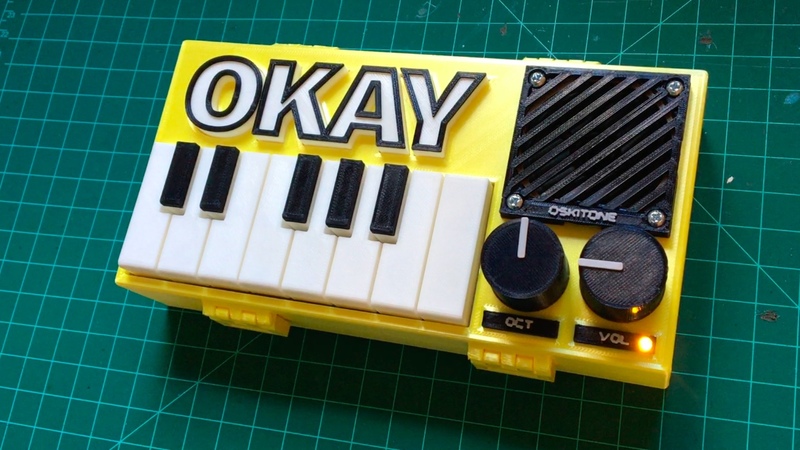 It's a monophonic, analog, square-wave synthesizer, and I'm calling it... OKAY! 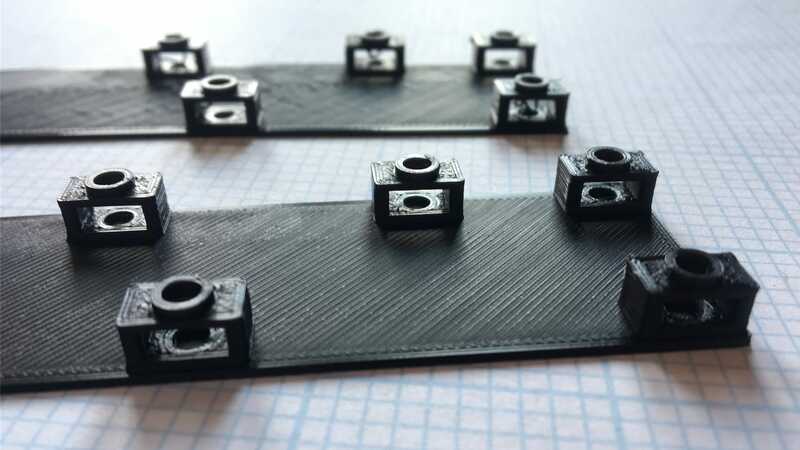 A cheap way to get minimal support without the mess or cleanup is to make a sacrificial, solid bridge over the cavity to ground the otherwise floating layers above. 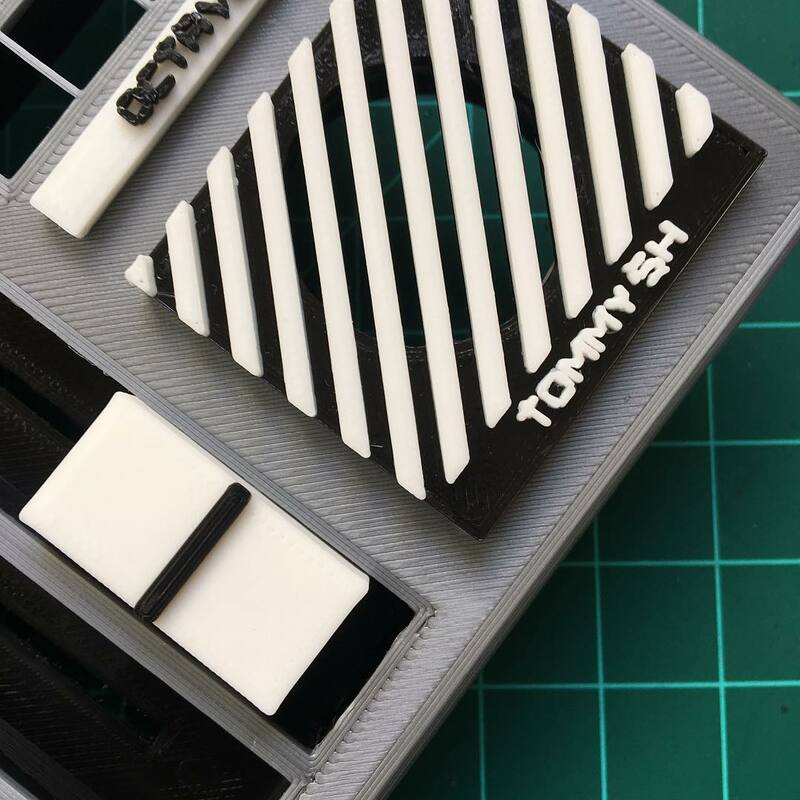 Changing filament in the middle of a print is an easy way to get multi-color effects without a multi-extruder 3D printer. Here's a quick tip for cleaner looking color changes. 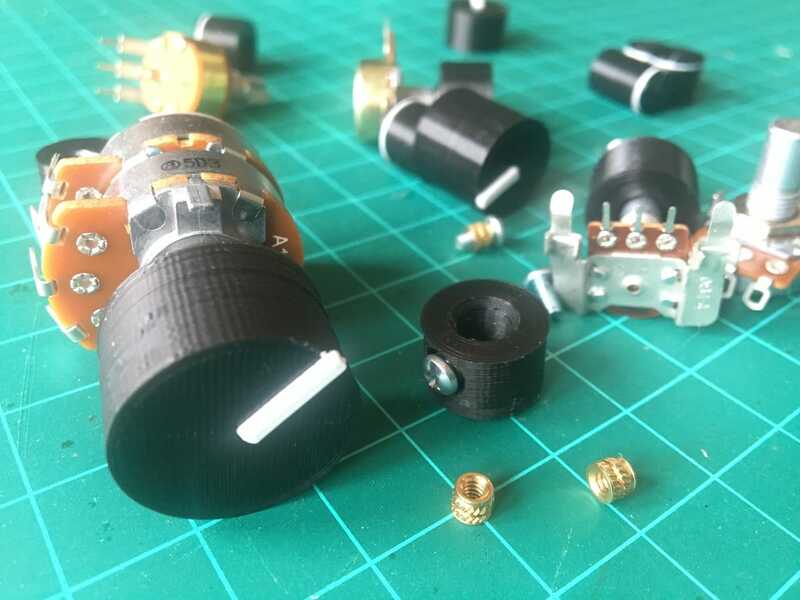 Who needs to buy new potentiometer knobs when you can make your own? 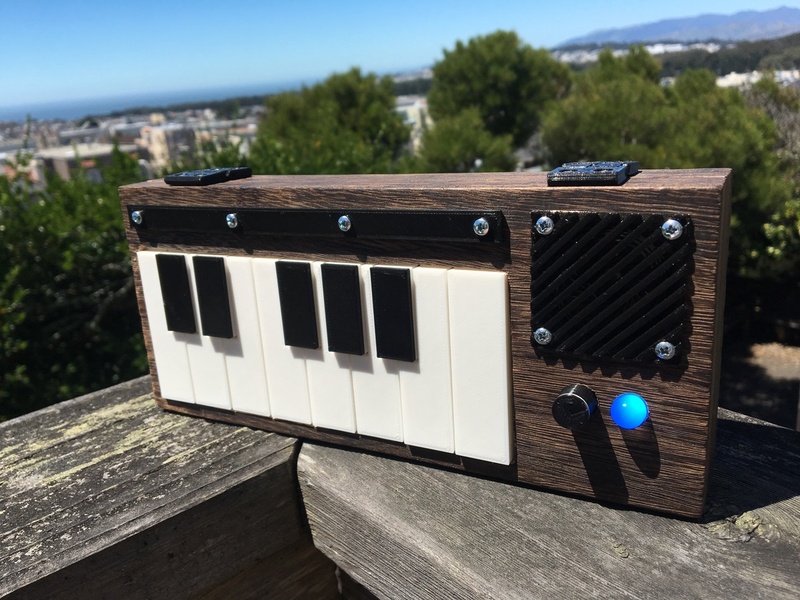 Inspired by a chord organ I had in high school, my 'chord synth' is a lo-fi analog interpretation with twelve oscillators, sixteen chords, and a wild jungle of routing jumper wires. Making non-linear movement from animation easing functions in OpenSCAD. 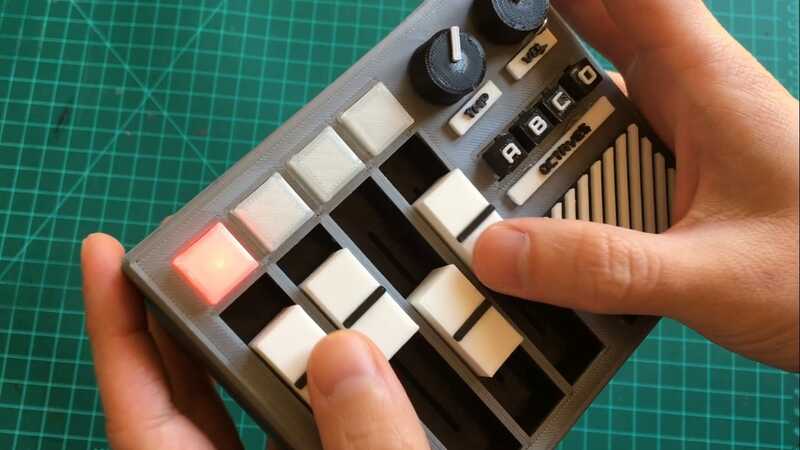 The F0 is a minimalist, analog, square wave synthesizer with chunky 3D-printed piano key overlays, 9V battery power, and a “Feathergrain” (from which we get the F in F0) box enclosure.